According to the forecast for the next couple of days March will come in like a lion. We hope it will go out like a lamb. The proverb is always a reminder to me of the similar statement made about Jesus. Only it is reversed. He came as a lamb and He will return as a lion. But he has appeared once for all at the culmination of the ages to do away with sin by the sacrifice of himself. Christ appeared once for all time to be the sacrifical lamb for all sins. He will appear again to be the judge of all mankind. 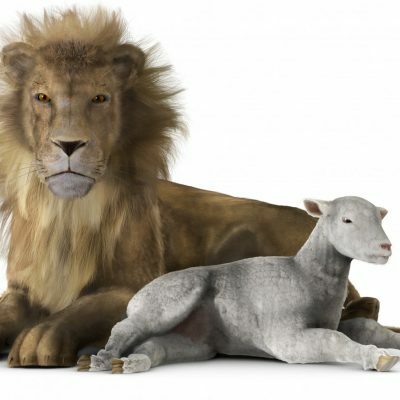 The lamb has come, the lion is coming.